I gave off electronic items, cardboard boxes and old newspapers & magazines to WoW, Ahmedabad. When I read about minimalism (owning less things) taken up by people across the world, I found it a little funny. Minimalism was for these people from the rich developed countries, not for us Indians. But when my family shifted house in May 2011, we saw first-hand the amount of unwanted stuff accumulated over 25 years – old books, clothes, toys, electronic items, wall hangings, gift articles and what not. I could hardly imagine the amount of stuff other people must be having. It shocked me – what were we doing? Why were we producing and accumulating so many things without having proper systems for permanent disposal? Where did it end? Will this linearly increasing system not crash one day? What about Mother Nature? I soon started exploring on these lines but came across 2 roadblocks. In India, we don’t have proper waste disposal systems – most of the plastic and electronic waste is just dumped, paper isn’t usually recycled, wet and dry waste not segregated. Awareness is slowly creeping in though. I recently used the services of Wealth out of Waste in Ahmedabad, which bought a lot of old articles at different rates, and disposed or recycled it in accordance. The second challenge is our mentality. We Indians have never had times of abundance, it is only recently that we are seeing so much around. Hence the tendency to accumulate. We are just not ready to let go of things – you never know when they will be useful (doesn’t matter if we haven’t touched the stuff in a decade or find most of it available for free on the internet). I will buy only when I need. I will keep on checking my stuff every 6 months and if I have not used them during this period, I will take some decisions. For everything I buy, I will give off something. I will keep learning and exploring more about these avenues and technologies. 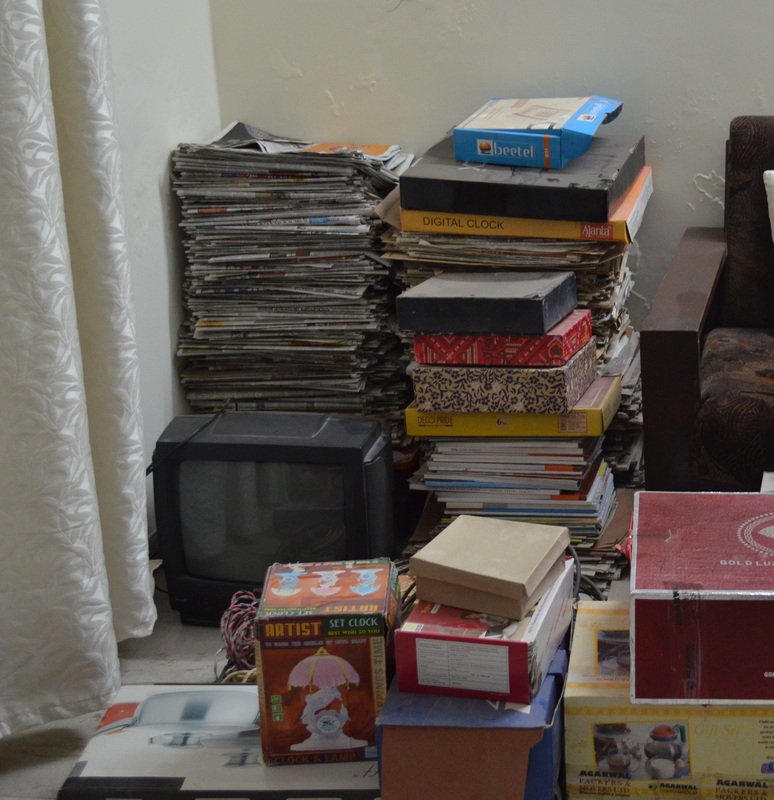 11 Dec 2015 update: I have begun donating used (but undamaged) items to the NGO Goonj. Next Post Life without sight? Hey Raghu, you should try it out too.